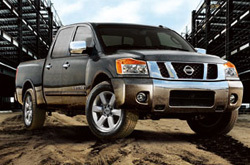 Texas Nissan your source for 2013 Titan research and reviews. Our Nissan reviews are compiled by veteran automotive writers - it's just another resource we provide as a leading Nissan retailer in Dallas - Fort Worth. The following article is overloaded with valuable data- it contains everything so that you can make intelligent decisions about the Nissan you want to buy. Is the Titan right for you? Find out below! 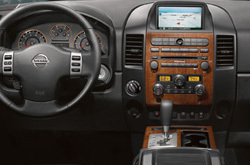 Check out the 2013 Nissan Titan alongside versus similar autos like the 2013 Chevy Silverado, Dodge Ram 1500 and the Ford F-150, and you will discover that the 2013 Titan trumps those vehicles in many areas. Get a load of the reasons see why! Get a full year warranty on repairs - plus access to authentic Nissan parts and fantastic Nissan technicians - at your leading Dallas - Fort Worth area Nissan repair center. With assistance from Texas Nissan's car repair buffs your Nissan will run well. We can take on nearly anything - from windshield wiper or brake pad checkups to snappy oil and filter changes; we also handle the more complicated stuff, including Nissan muffler repairs and more. Texas Nissan is your superior choice in Dallas - Fort Worth for quality, professional Nissan repairs and routine maintenance. Take a look at our current service specials by clicking the link below.